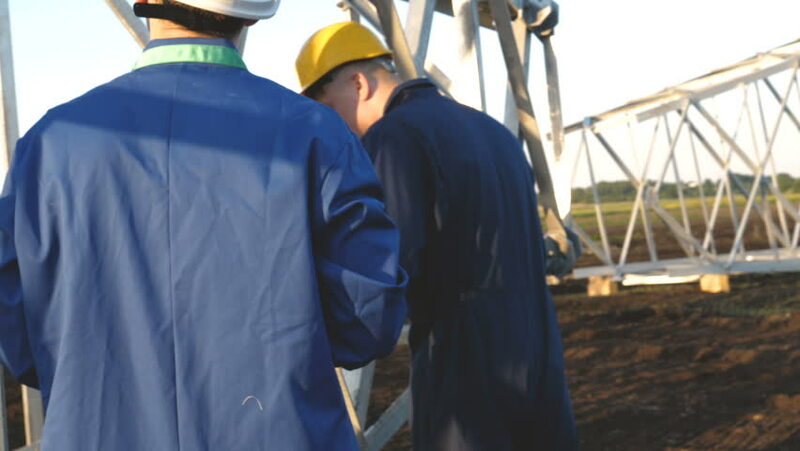 An electrician or builder and engineer, in a blue robe, in a yellow and white helmet, check the technical overview for strength, prepare electric poles, an electric tower, energy, and workers. 4k00:16An electrician or builder and engineer, in a blue robe, in a yellow and white helmet, check the technical overview for strength, prepare electric poles, an electric tower, energy, and workers. 4k00:37Chef Man and woman in a black coat on a scaffolding house under construction. Construction in winter. 4k00:13Adult engineer or architect uses a tablet in operation. Writes a message or checks a drawing. Against background is building. Builders are building a modern residential building of glass and concrete. 4k00:12Two Technicians in Hard Hats Have Conversation next to Train. One Technician Holding Tablet PC. Shot on RED Cinema Camera in 4K (UHD). 4k00:16Portrait of a successful young handsome engineer, architect, builder, businessman, wearing a white helmet, in a suit, holding a project in his hand, a skyscraper background and a construction site. 4k00:16A young handsome (male) biologist or agronomist, takes analyzes of moisture leaves, dna, pipette, in a white coat, goggles, blue rubber gloves, walks across the apple tree. 4k00:35A young farmer walks the field looking at planted plants. Concept: clean air, bio, agriculture. 4k00:17Portrait of a successful young handsome engineer, architect, builder, businessman, wearing a white helmet, in a suit, talking on the phone, skyscraper background and building. 4k00:12A young professional master will test the car engine, writes in a notebook, in a white coat, goggles, white rubber gloves, service machines. 4k00:11A young handsome (male) biologist or agronomist, takes analyzes of moisture leaves, dna, pipette, in a white coat, goggles, blue rubber gloves, walks across the apple tree. 4k00:21A young farmer is planting a small green sprout, on a field in nature. Concept: clean air, bio, agriculture, freedom, food, new life.